Cast: Eddie Redmayne, Katherine Waterston, Ezra Miller, Colin Farrell, Samantha Morton. Fantastic Beast and Where to Find Them is charming entry into Potterverse. 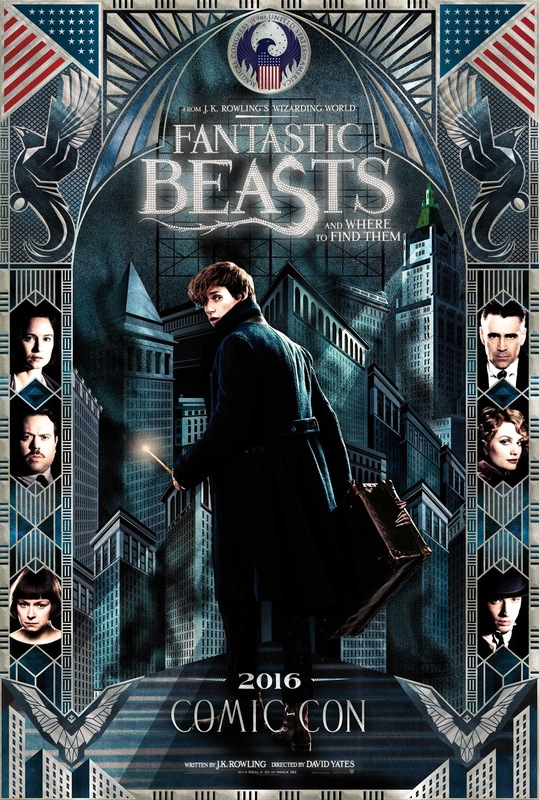 Kicking off a series of prequel films can be a difficult task but director David Yates pulls it off with ease thanks to some strong turns from his cast. Eddie Redmayne leads the cast with his Newt Scamander. It’s an understated performance but engaging enough to keep you invested throughout even if some of the plot seems scattered and unfocused. The film is at best when Redmayne is paired with Dan Fogler, Katherine Waterston and Alison Sudol. You can feel the energy in the film pick up with the quartet is assembled. As for the story itself, it’s a tad busy which can make it feel like it’s hitting multiple stops with no clear destination in mind. It’s a shame the film didn’t make better use of Colin Farrell. Instead he’s given a generic villain who’s not nearly as interesting as he could be. Ezra Miller suffers from a similar situation but he does manage to elevate it a bit with some nifty acting. That being said it’s a hard film not to like, there’s an inherit charm built into the story which makes it a good start for the series.